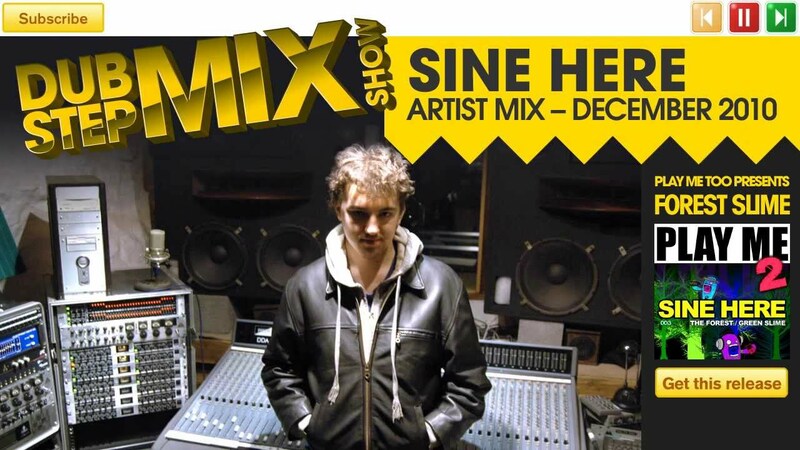 The Dubstep Mix Show on YouTube present Dubstep artist Sine Here. This newcomer on the scene hails from the UK and started playing as a Drum & Bass DJ when he was 14 years old. Meanwhile, he practiced with producing tracks for a while and when he first heard Benga's album "Diary of an Afro Warrior" he jumped into Dubstep. He quickly changed from producing D&B to producing Dubstep and months later his first tunes weere signed on Hype Regiment and Play Me Too Records. His sound is characterized by huge trancey atmospherics with brute force bassline riffs. Here is.... Sine Here!